SSL encryption is used for all communication with our servers, be it through the web interface, the sync tool or via the WebDAV protocol for mobile devices. 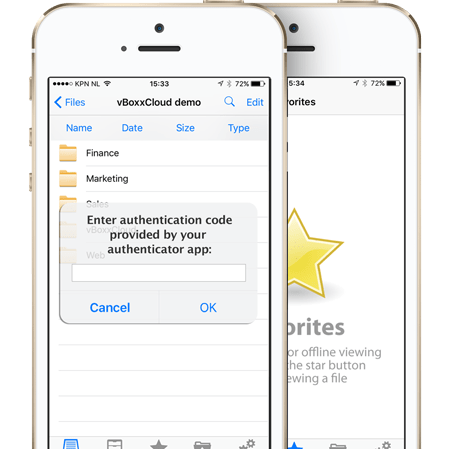 Enforce periodic password updates, two-step authentication, and delete files remotely to keep your cloud secure. Enforce periodic password updates by scheduling user reminders to change their password. Activate two-step authentication and request additional login verification, by email or mobile device. In case the device is lost or stolen, you can delete personal files or shares from any device remotely. Set download expiration dates, control who as access to folders and from which device. 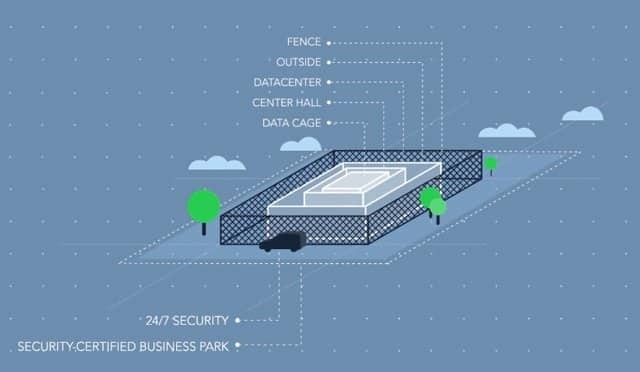 Your data is stored in sustainable data centers with state of the art physical access security. Such as: biometric access, blast deflection walls, perimeter sensoring BMS system, CCTV & Motion detection. 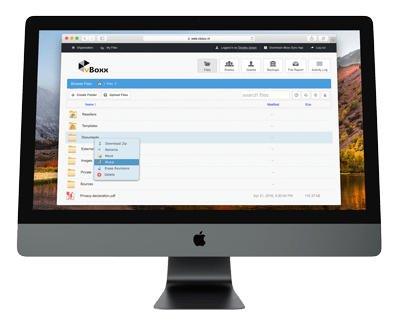 Only vBoxx staff has access to vBoxxCloud servers, and we closely monitor the availability of our servers to guarantee that your files are always up to date. 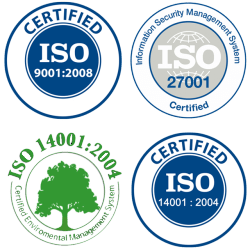 All your files are stored in ISO certified data centers, that guarantee compliance with quality and information security management regulations. Data center security systems are tested continuously to ensure complete protection of your files.